Dice one cup of watermelon into small cubes; set aside. 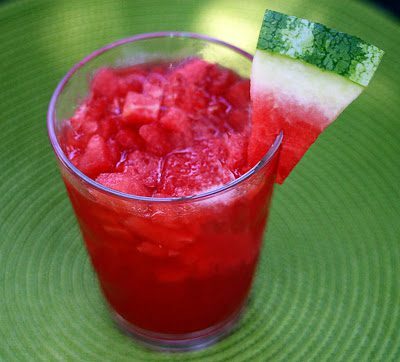 Puree remaining 2 cups of watermelon in a blender and add vodka, melon liqueur, lime juice and ice and blend until smooth. 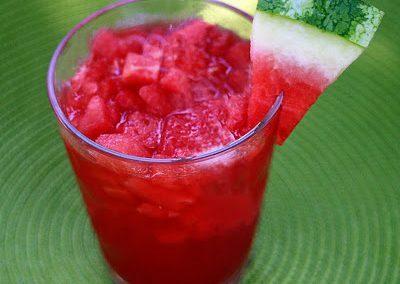 Pour 6 oz martini into each martini glass, add 1/4 cup remaining watermelon into each glass and garnish with watermelon slices. * For a sweeter martini or if your watermelon isn’t very sweet, add 1 or 2 packets of Splenda, to taste. * For those who don’t drink alcohol, add ice cubes and replace alcohol with a splash of orange or cranberry.